This year, the theme is ‘Celebrating Our Heritage’ and the focus is on how far the BME community has come and how much further it will go. Each day, the CUSU will display a new fact about Africa on this dedicated webpage. Check it out, or for one thing, you’ll miss out on learning that Africa has a beer brewed from bananas. Got you hooked? 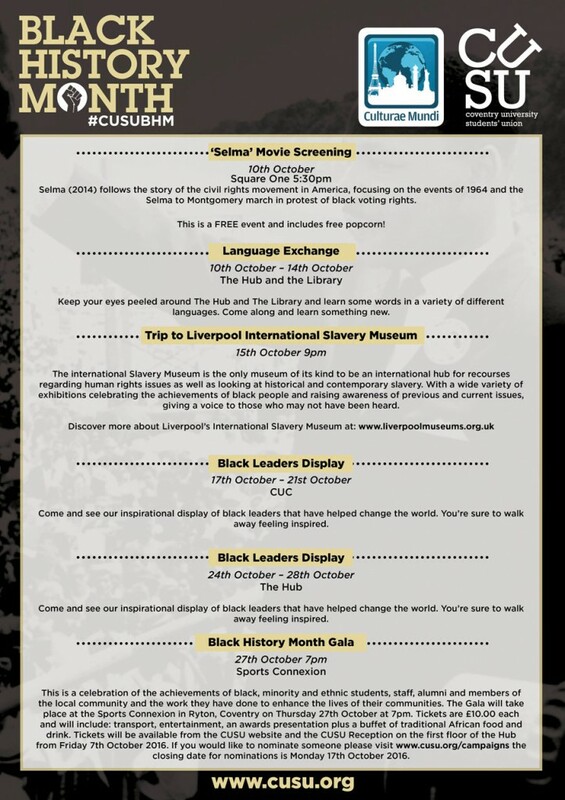 Today marks the beginning of the Black Leaders Display, which you’ll be able to see in the Hub, the CUC, and the library on different dates. What’s more, the SU will be putting on an African Fashion Show in Square One, and from now until the 21st October, you can see an art exhibition in the Glass Box showcasing the work of students and alumni. 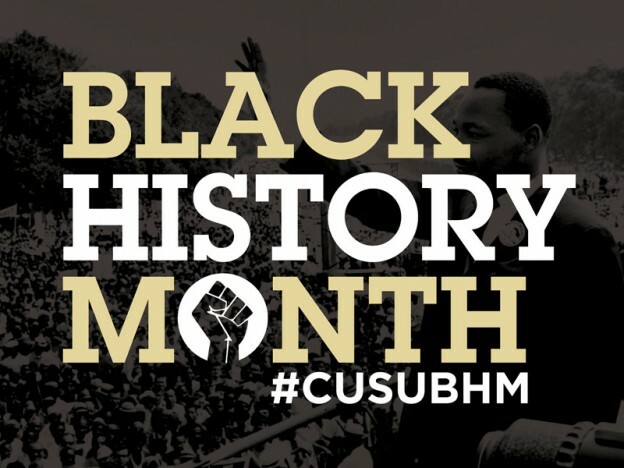 For the full list of events to mark Black History Month, you can see the poster below or visit the #CUSUBHM website. If you’re studying law, or civil rights, you may be interested to know that on 27th October, Attorney-At-Law Professor Roger Ward and Human Rights expert Professor Gus John will discuss the case of Brown v. The Board of Education of Topeka, Kansas (1954), where a black family fought for their daughter’s right to attend a ‘whites only’ school. This groundbreaking case broke down race barriers in the US education system. The court found that school segregation was unlawful, helping spark the Civil Rights movement. The speakers will also examine in relation to this, how equality might look in a post-Brexit UK. Held in the Engineering and Computing Building, tickets for this event are free, but you’ll need to book in advance! The final event this celebration leads up to is the Black History Month Gala, also taking place on the 27th. Your ticket includes transport and a magnificent meal of traditional African food and drink. The focus of these inclusive awards will be on staff, students, alumni, and for the first time the wider community. The work of the Black Lives Matter campaign, for instance, is something that has rung true to so many people worldwide in 2016. For any more information you need, head on over to the CUSU website, and get involved! ← Are You A Global Citizen?